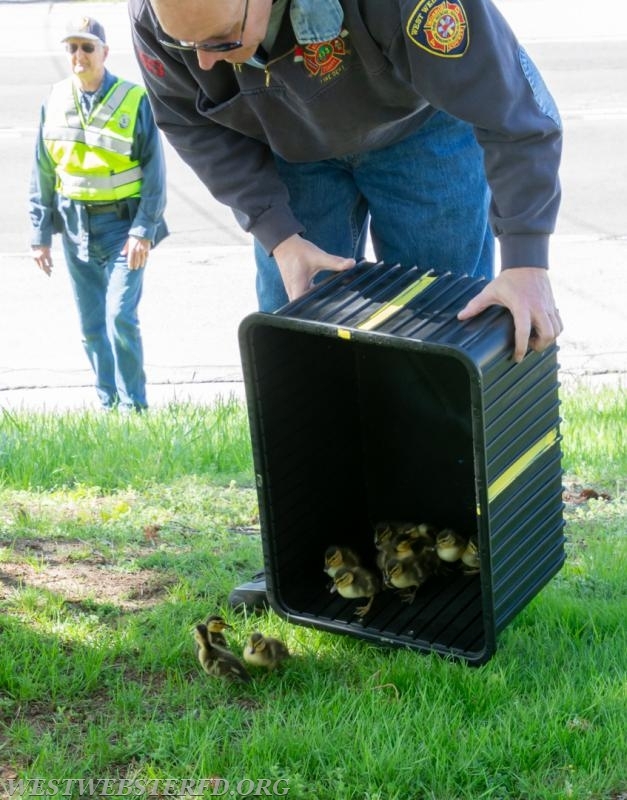 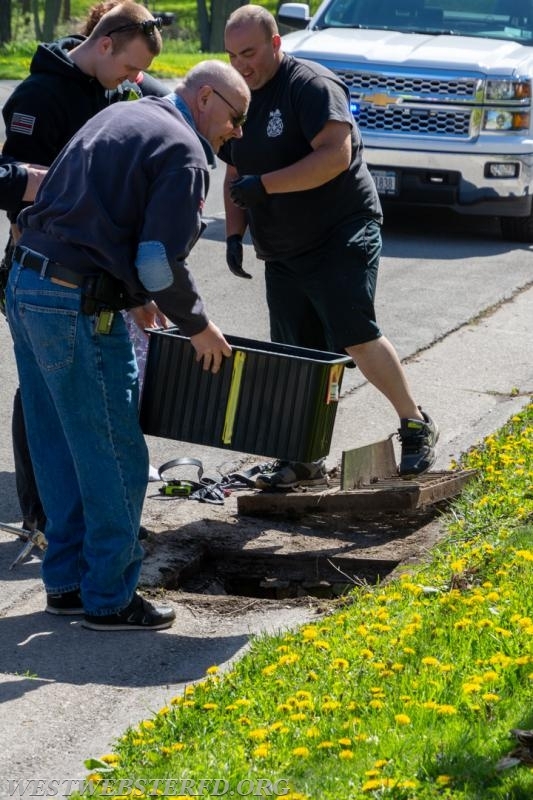 West Webster responded for a report of ducklings that had fallen through a storm grate on Klem Road. 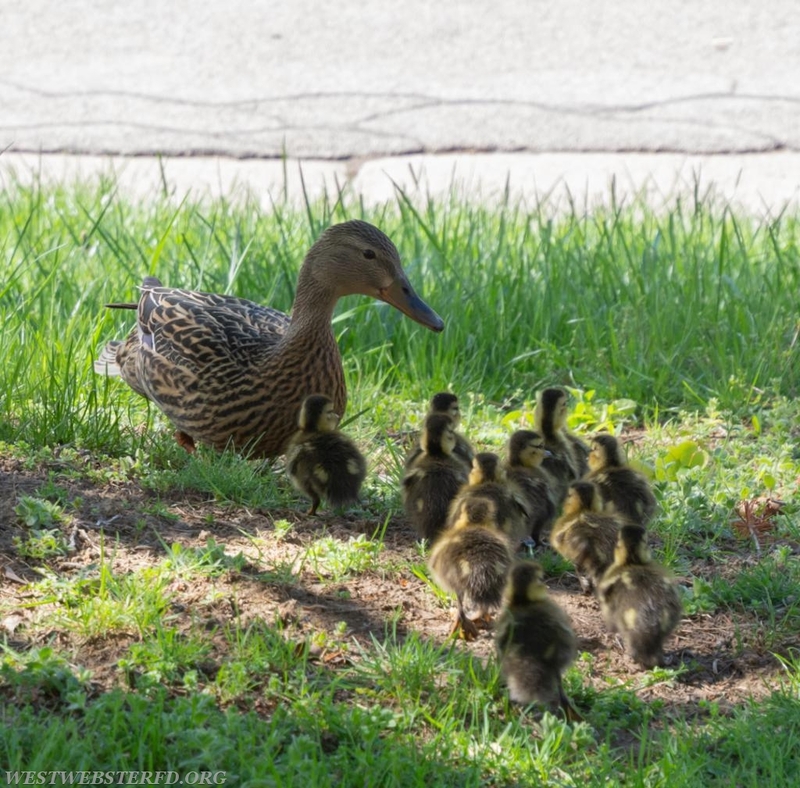 As a passerby was out for her morning run, she noticed that the mother duck was agitated, which made the runner look down into the storm drain. 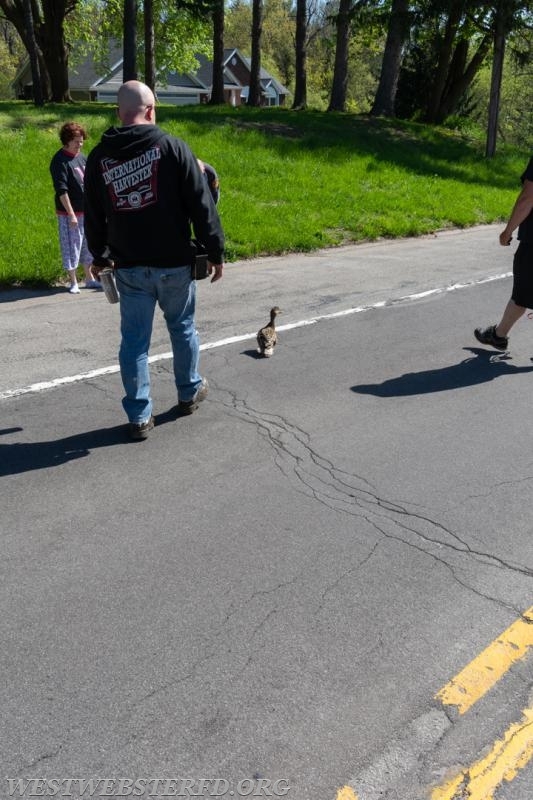 The runner then noticed that there was a clan of ducklings unable to get out. 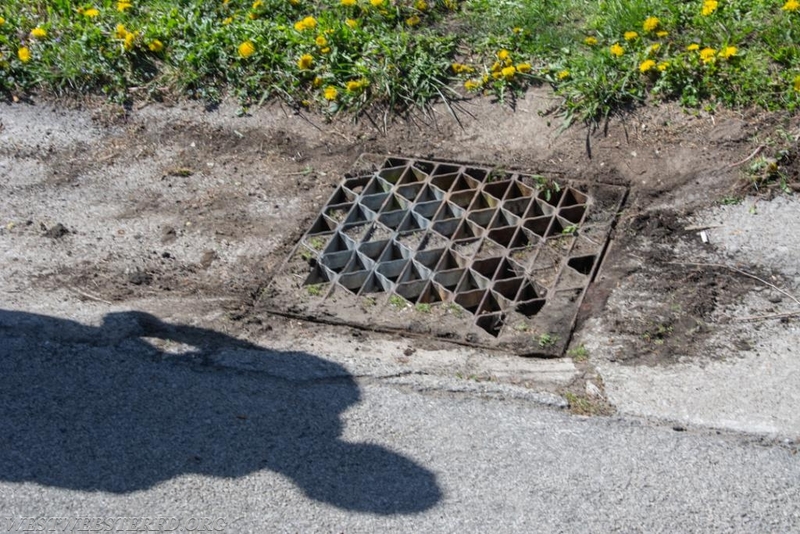 Firefighters quickly removed the storm grate and entered the drain. 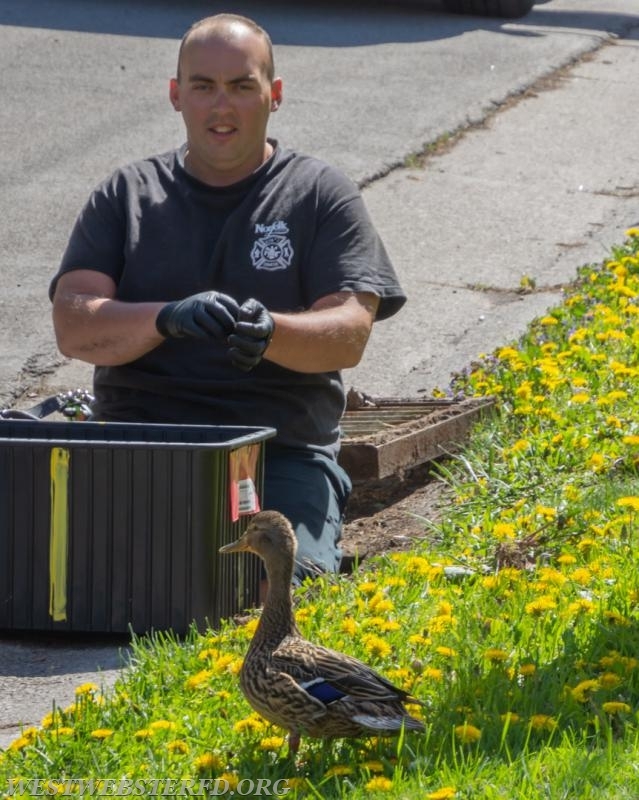 The ducklings were removed from the drain and moved over to a nearby pond. 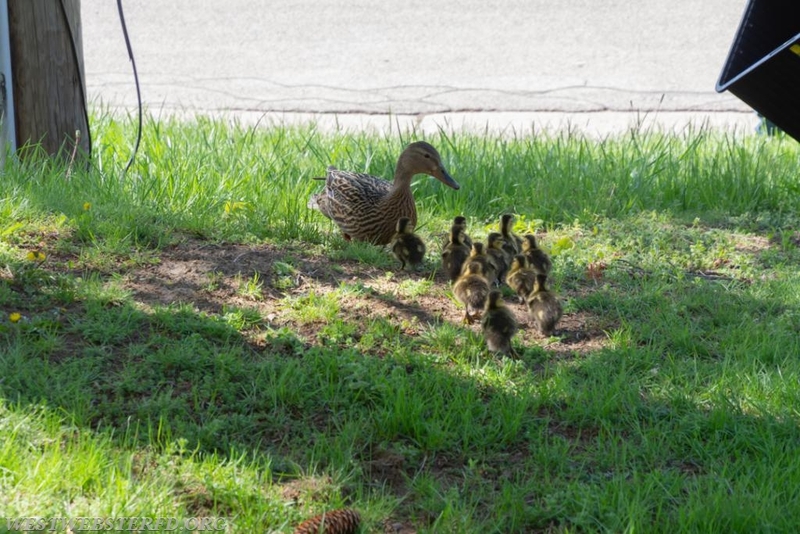 The mother duck seemed happy after the ducklings were safe.